(Newser) – If you've got a straight-A student living under your roof, you may want to give your teen a pop quiz once in a while. 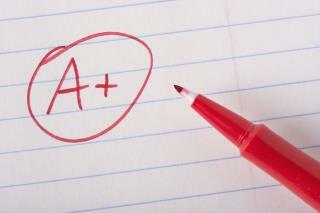 A new study reveals that even though a larger percentage of high school seniors than their 1998 counterparts are heading off to college with an 'A' average, SAT scores have fallen—meaning, as USA Today notes, that those chart-busting grades might actually be "fool's gold." Per Inside Higher Ed, the study released Monday—which will be included in a book on testing, grades, and college admissions coming out next year by Johns Hopkins University Press—shows that 38.9% of high school seniors graduated with an A average (which includes A- and A+) in 1998. In 2016, the figure was 47%. The average GPA score also rose during that period, from 3.27 to 3.38. Started with giving good grades to 60's draft dodgers. Seemed like a good idea.....to create a "movement" of dummies. It's working. ....but they still get participation trophys. "The Marching Morons"